Having clean drains run throughout your home is necessary to rid your home’s sinks, tubs and pipes from unwanted and smelly waste water. If your drains are not flowing as efficiently as they should or are completely clogged, your entire plumbing system could become impacted. This could cause everything from undesirable odors to the plumbing backing up into your home. Efficient Plumbing Services of Littleton, Colorado has been cleaning the drains of your friends and neighbors for many years and are ready to clean yours, as well! As a family owned and operated plumbing company that specializes in drain cleaning, Efficient Plumbing Services will effectively clean your drains and make sure your plumbing will continue to work as you need it to. • Kitchen drains need cleaned on a routine basis because all the bits of food, grease and oil that is washed down your sink while you cook and clean have a tendency to stick together deep in the drain and cause problem clogs. • Bathroom Drains are clogged every day from hair, soap, dirt and even toothpaste. All of these things combine in the drain and often get stuck once you turn the water off. Once they harden, they can easily cause a big clog. • Floor drains are installed in places that may frequently have an accumulation of water, such as bathrooms, laundry rooms and outside areas. Since they are located on the floor, they often become clogged with dirt, leaves and any other debris that falls into them. Being left clogged can result in major damage to your home should they not be able to quickly whisk water away. Many of our customers do not call us until they have a completely clogged drain that needs emergent attention. If this is what you are experiencing, don’t hesitate and call us right away! Once one drain is clogged, there is a very good chance that other drains will quickly become affected as well. Unfortunately, one drain in need of repair can quickly turn into many drains in need of repair. The other time our customers call us is before a clogging emergency is upon them. One of the most important jobs Efficient Plumbing Services does is that of drain cleaning as a way of maintaining and inspecting your plumbing system. When we come to your home, we will be sure to examine your drains while we use specialize tools to clean them, getting rid of any small clogs in the process that you may not even be aware of. 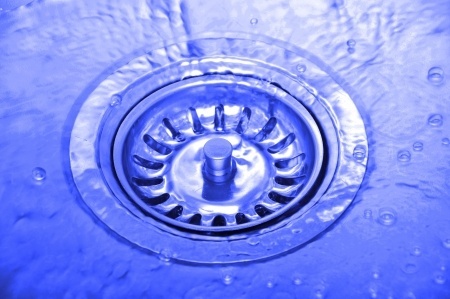 If you haven’t had your drains cleaned, call Efficient Plumbing Services today!